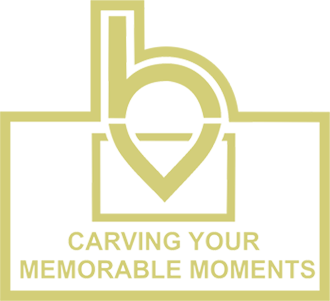 Bali Dolphin Tour Package 6 Itinerary will start very early morning because we have to catch up the sunrise at Lovina Beach. 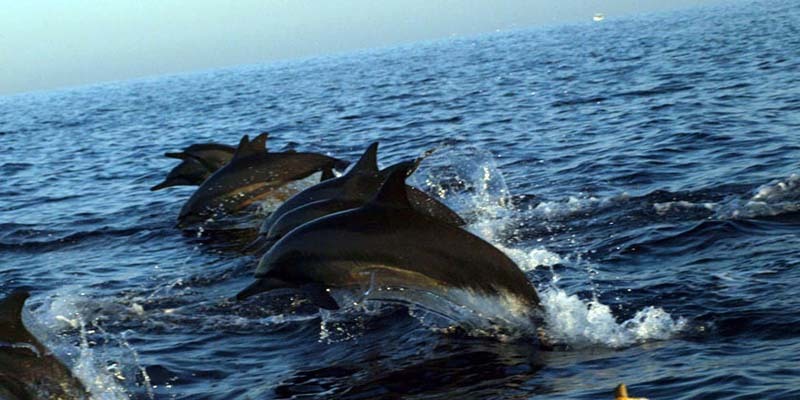 The Dolphin Hunt with camera should start when the sun rising up and it is the perfect time to see the group of dolphins jumping on the sea water. Then it is followed by relax swimming at Banjar Natural Hot Spring, 15 minute drive from the Lovina Beach. On the way back home we will visit the rice terrace at Jatiluwih Village, Tabanan Regency that chosen by UNESCO as World Cultural Heritage on 2012. Bali Dolphin Tour Package 6 itinerary will start by hotel pick up in the very early morning around 3.00 am by our Bali tour driver (pick up time based on your hotel location). We have to start to depart to Lovina Beach in Buleleng Regency due the Dolphin Hunt will be started at 6.00 am during the sunrise time. When we arrived at Lovina Beach as the Dolphin Hunt start point, we need to take traditional boat with local and professional boat driver. Sunrise time is a perfect time to watch the Dolphins jumping on the sea water due those time they are hunting smaller fish and the temperature is suitable for them which not too hot but they can have sun shines. Finish the boat tour, we are going to have relaxation by swimming at Banjar Natural Hotspring just 15 minute drive from Lovina Beach. In the middle of the day we will having buffet lunch at Bedugul Mountain top with Bratan Lake view. After finished the lunch, we are going to having coffee break at Luwak Coffee Plantation to refresh us with introduction of our local plantation and tasting the famous Luwak Coffee and other Balinese spices. 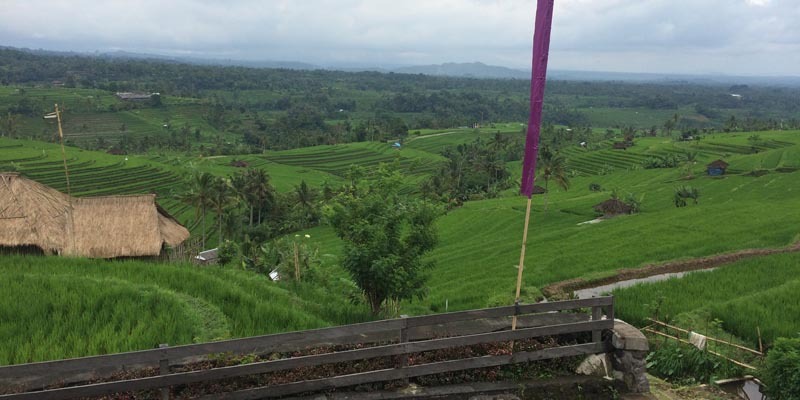 The last stop is at Jatiluwih Village for visiting the UNESCO’s Rice Terrace in Bali. We can do a bit trekking inside the rice field with long wide green view of rice plants surrounding us. Banjar Natural Hotspring is located 15 minute drive West direction from Lovina Beach. 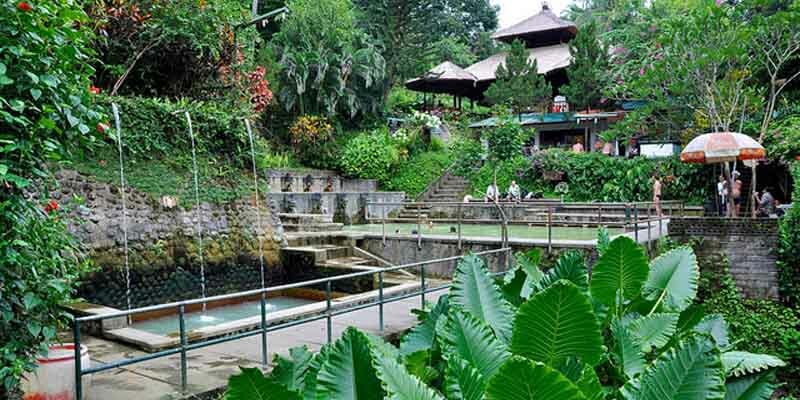 The hot spring sites has been managed by the government and maintained very well. The source of hot water is coming from natural hot spring source under the volcanic mountain. The water in the pool is colored a bit yellow because it is contained sulfur inside. The sulfur material is very good for your skin but in long term and continuity therapy. The short term effect of the natural hot spring is to relax your muscle and make you feel more comfort.